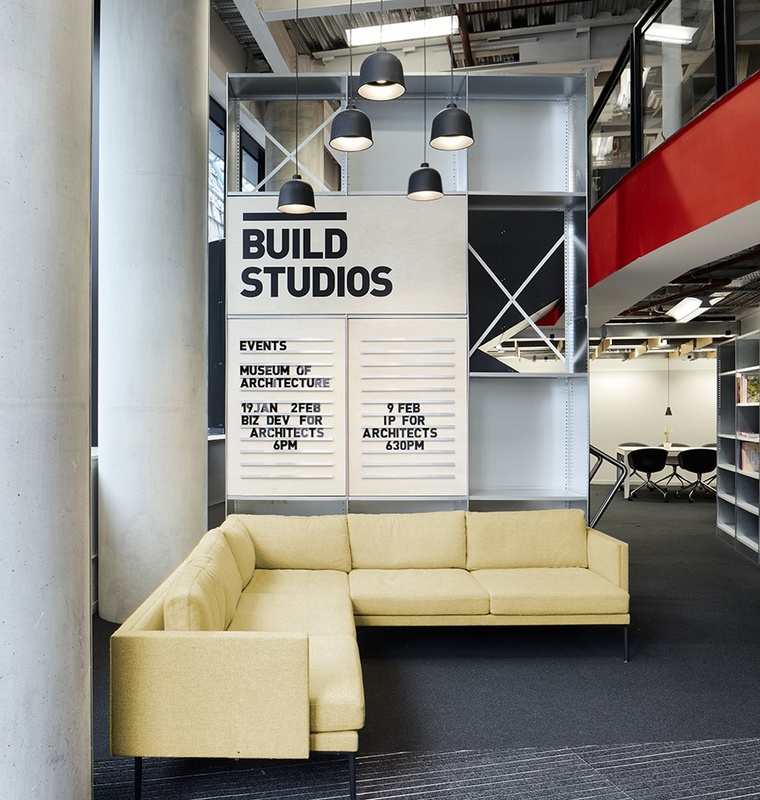 The first dedicated co-working and events space for people working in the built environment sector, Build Studios is a not-for profit organisation providing affordable workspace and committed to raising aspirations among young people and improving access and diversity within the sector. 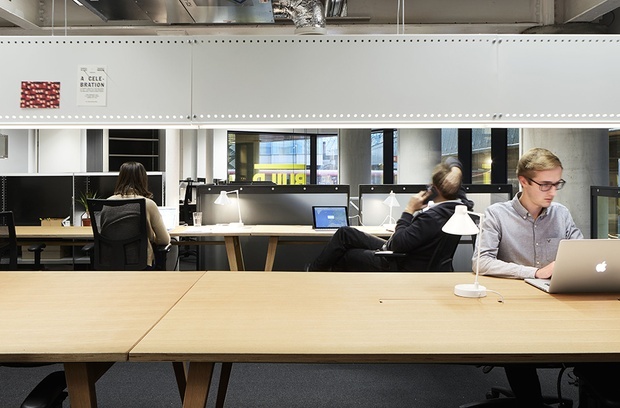 Working in partnership with a manufacturer, we have updated a classic rolled-edge industrial shelving system; adding bespoke panels and interactive surfaces to create spaces for collaborative working and events. 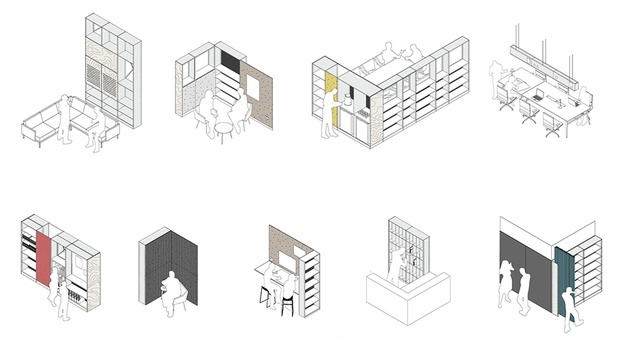 The freestanding elements are independent of the building structure, and can be reconfigured rapidly to enable different activities and create different atmospheres. 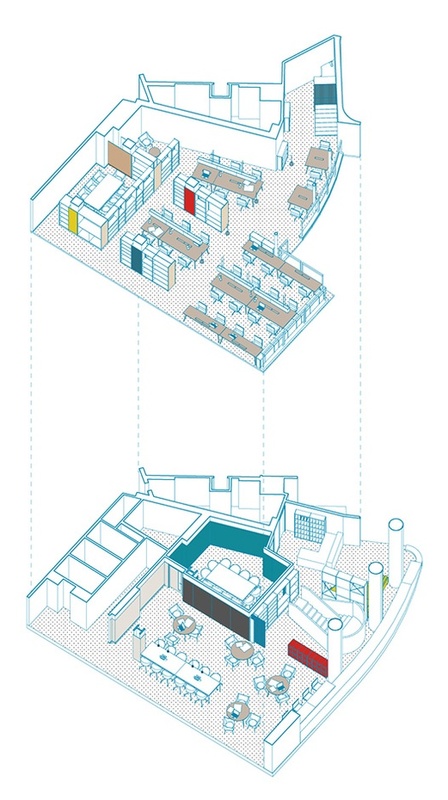 Shared facilities such as meeting spaces and storage are carefully planned into the floorplate to create a sense of generosity.